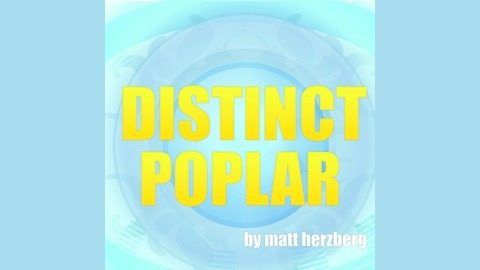 Distinct Poplar is a young adult (YA) short story series of dark fantasy and storybook horror, written and narrated by Matt Herzberg. 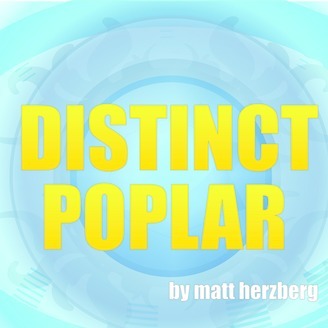 Distinct Poplar takes place in a sprawling city, where the supernatural and fantastic things are common place. This vast metropolis looks and feels like a fairy tale kingdom come to life and thrusted unceremoniously into the modern era. Here, people practically live on top of one another, covered in the grime and hardships of everyday city living, and always keeping an eye out for the dark and sinister things awaiting just around the corner. Here you will find six-legged rat creatures, neighborhood swallowing storms, and cats who stalk children...hungry for their laughter. Beware monsters who live in the old haunted house down the street. And remember that advice from a talking turtle found in the sewer could save your life! In this stinking city, sometimes a kid's got to take matters into their own hands, in order to survive.